This post contains affiliate links. by making purchases through these links, nurtured roots receives compensation at no cost to you. thanks! We sipped our “Twist-the-Time Tea.” Eyes wide, we waited. And then………….our laughter burst the silence. Nothing had happened. We didn’t travel back in time. But it was fun to think about where we’d go if we could. This conversation began our Just Add Magic poetry teatime. This amazon prime original show has captured my kids’ imaginations. It’s rare that all six kids enjoy the same television show, but this one has won them all over. Mystery lingers from episode to episode and magic recipes are made to try to solve it. After binge-watching season two, the kids’ conversations were peppered with new recipe names and accompanying riddles. They were composing poetry and didn’t even know it. In their fun, I saw our next Poetry Tea Time. Armed with index cards and markers, I brainstormed some magical names for these foods and served them up with poetry books I had snagged at the library the week before. 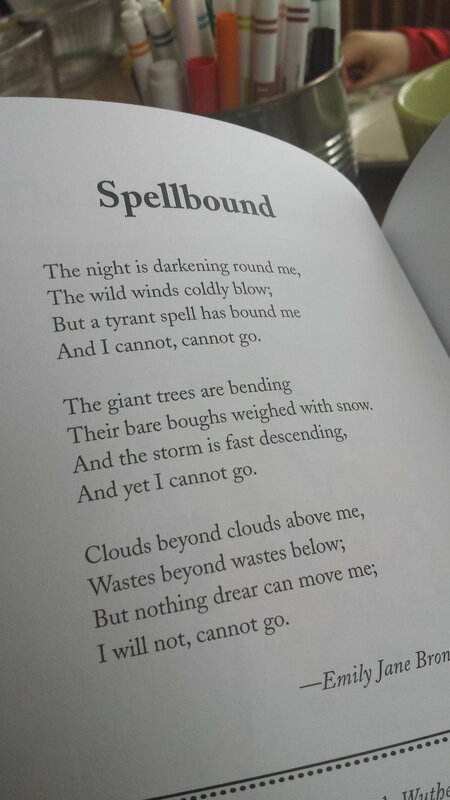 Finding poems about magic proved difficult so I kept my definition of magic loose. If it had magic in the title, it was added to the pile. Twist-the-Time Tea - Guaranteed to send you back in time. Kernel of Truth Popped Corn - Sure to make you see or tell the truth! All-Is-Well Apple Slices - Something wrong? Not feeling well? These apple slices will make everything all right. Bring-Out-Your-Sweetness Breakfast Treats - These cookies will help your sweet self shine through. Creating new recipe names and riddles or make a riddle for one the foods on the table. As you pop this corn in your mouth. Of what you will see in your mind. Here are some of the new recipes the kids are working on. I’m not sure some of them are safe! I hope you enjoyed this glimpse of our Magical Poetry Teatime. I'd love to hear from you! Do you enjoy poetry teatime in your home? If you do, what's your favorite poetry book or treat? If not, what questions do you have about Poetry Teatime? I look forward to chatting with you! 2017 has arrived! Over the past few weeks, I've enjoyed looking back over the blogs of fellow homeschoolers, re-reading the posts that encouraged me throughout 2016. Here, I've gathered together some of my favorites about Connecting with Our Kids, Encouragement for the Homeschool Mom, Self Care & Awesome Adulting, Creative Homeschooling and Sharing Poetry with Our Kids. I hope you'll find a nugget of wisdom, a seed of inspiration as you prepare for the year ahead! Happy New Year!